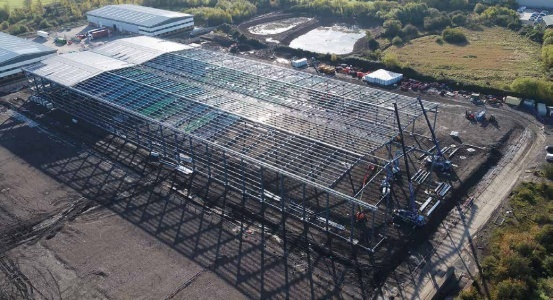 Avonmouth Access 18, one of the South West’s largest distribution parks, continues to expand as developer St. Modwen constructs the largest speculative building currently under way in the region. 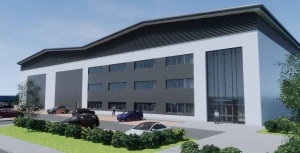 Work is swiftly progressing on Unit 15, a 14,000m2 distribution warehouse with an attached three-storey office space, which is being developed at the Avonmouth Access 18 distribution park. According to the site’s developer St. Modwen, this latest phase is in response to continued market demand for logistics and production space close to the M5 motorway. 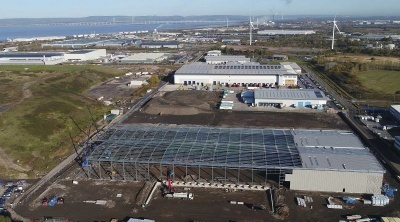 Scheduled to be ready for occupation in March 2019, the new unit is part of St. Modwen’s overall strategy to accelerate commercial development activity with a national pipeline of almost 1.4M m2 of new industrial and logistics space in the next five to eight years, based on occupier demand, planning and strength of location, from its existing commercial land holdings. The Access 18 distribution park is being delivered in phases and is already home to 14 companies, including Kent Foods, Hermes Parcelnet and Budget Greetings Cards. A further four new occupiers – Commercial Electrical Factors, GB Liners, Plant-Ex and Movianto – have recently taken up residence in four units totalling 7,060m2. 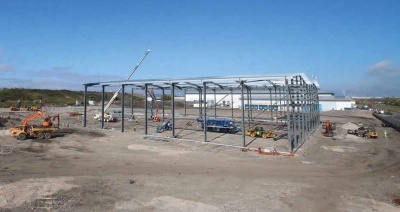 Unit 15 is being built by Midlands-based A&H Construction & Development, who have sub-contracted ASA Steel Structures on a design and build basis to design, fabricate, supply and erect the project’s steelwork. The warehouse is a twin-span portal frame, with a total width of 70m and an overall length of 190m. The portal frames are designed as hit and miss with a central line of valley columns in alternate bays omitted and the rafters supported on valley beams. The valley line is stabilised by bracing in the plane of the roof leading to vertical braced panels. The valley beams are substantial elements and are present in a continuous line down the full length of the building. Built to an expected BREEAM ‘Good’ rating, Unit 15 is 12.5m high to the underside of the haunches and will feature 16 dock level loading doors, in addition to two surface level loading bays. The three-storey offices are built into the overall structure and occupy the north-western end of the building. The two upper floors have a composite design, with steelwork supporting metal decking and a concrete topping. These column-free office floors will offer 286m2 of space. Externally, the distribution centre will have 20 HGV parking spaces, a separate staff car park, while additional land is also available if the tenant wishes to negotiate a yard extension. 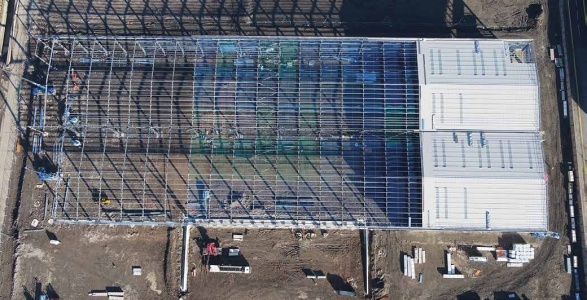 Using a combination of two mobile cranes and a variety of MEWPs, ASA Steel Structures completed the steel erection programme in November, with the distribution centre on course for its planned March 2019 completion. St. Modwen acquired the 212- acre Avonmouth site in 2003 and immediately undertook an 18-month programme of demolition and remediation work. This involved an extensive environmental clean-up as over 750,000t of earth was removed and then over 99% of other on-site materials were recycled on site. Since then, St. Modwen has built a new access road to link the site to Avonmouth Way and improve access to the nearby port facilities, the M5 and onwards to the South West and the M4. To date, 14 new warehouse and industrial accommodation units have been delivered, including St. Modwen’s regional HQ offices. As well as Unit 15, a further 10 distribution centres are planned for the site, ranging in size from 460m2 to 14,000m2.